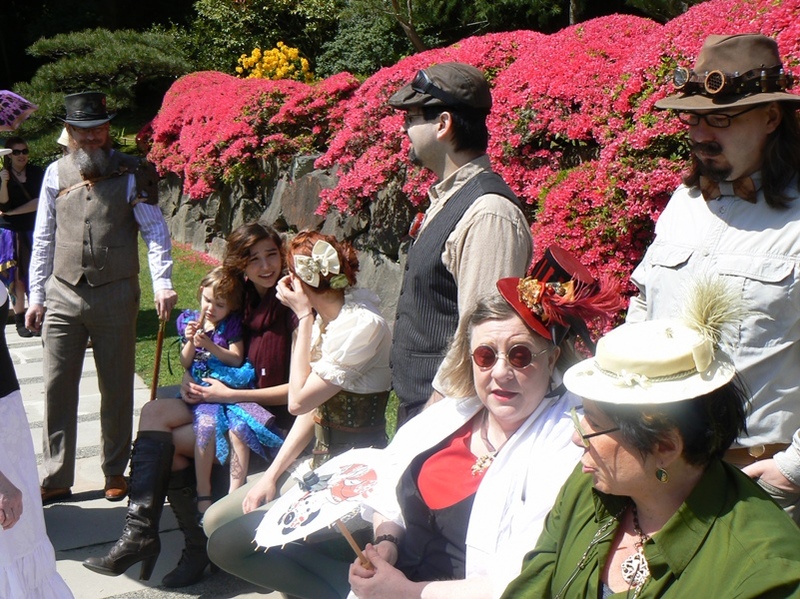 Costuming in Seattle > 15_SITU Meets Seattle Steamrats! 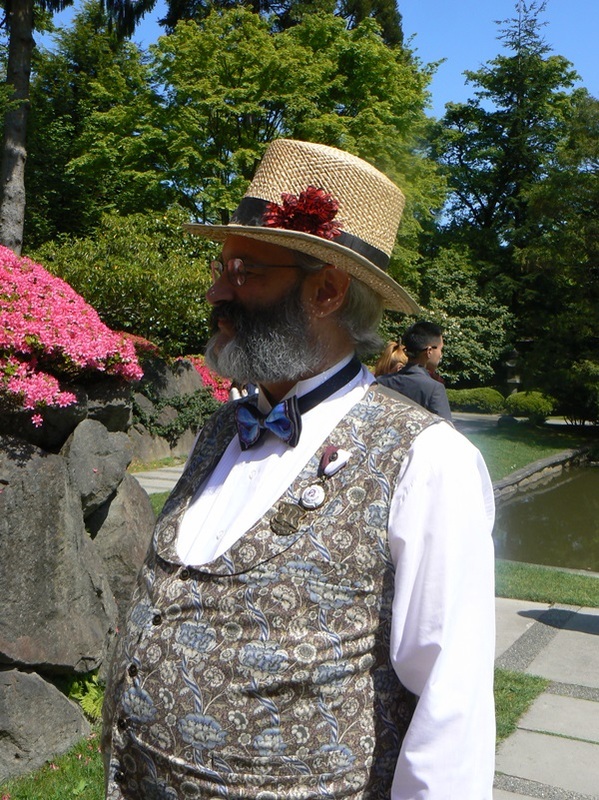 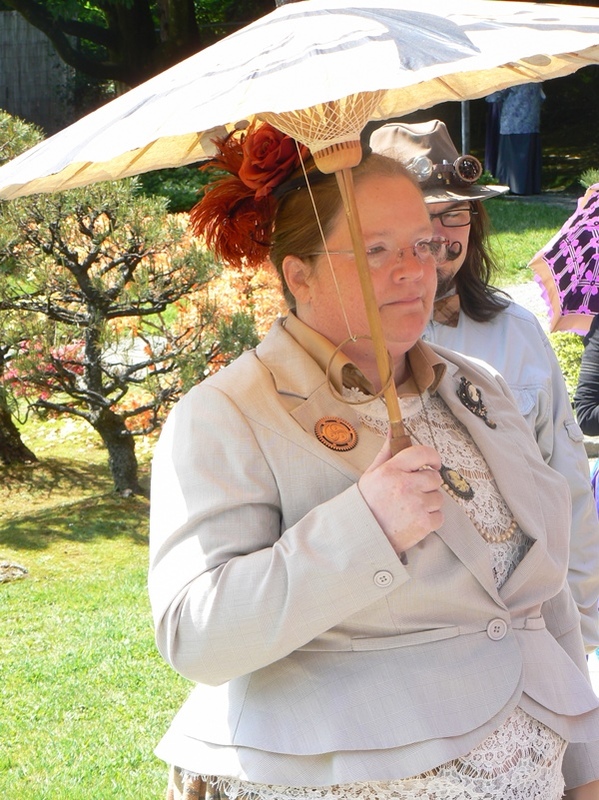 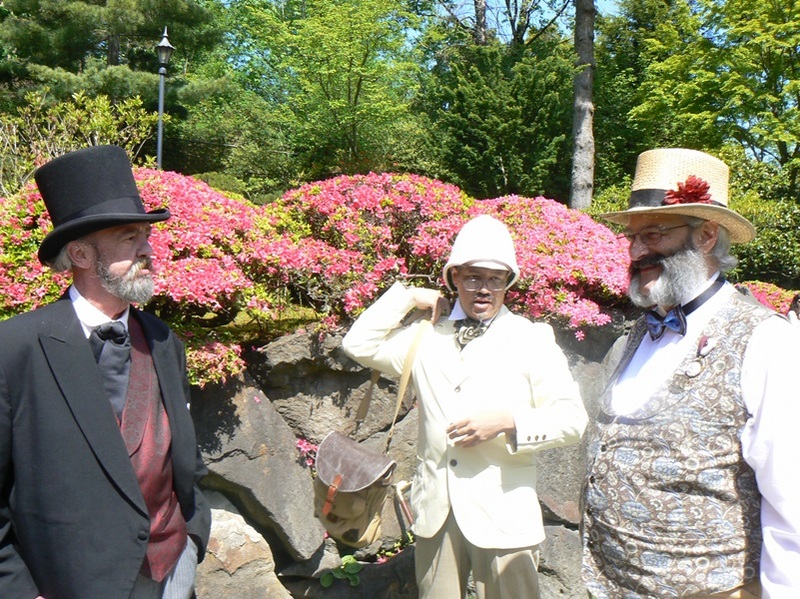 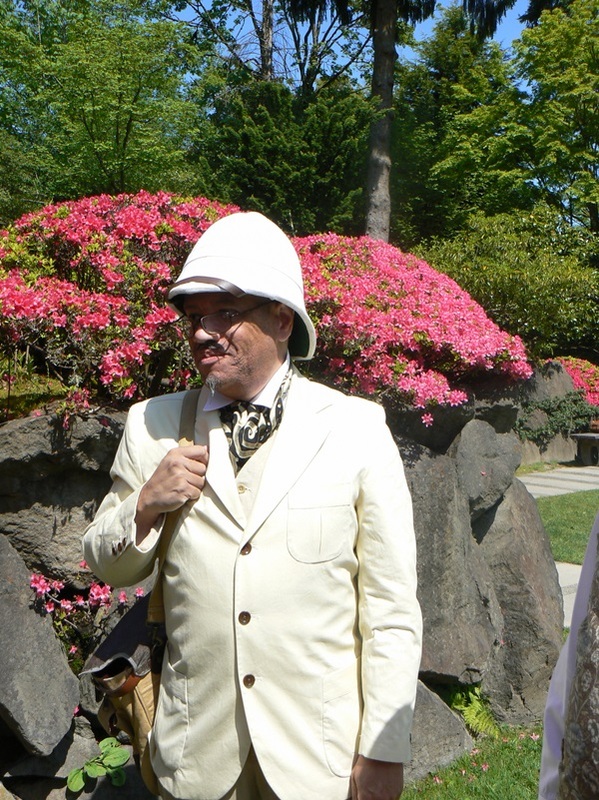 On a brilliant and cloudless day in Seattle, a famous steampunk costuming group called Seattle Steamrats, held a picnic at the arboretum. 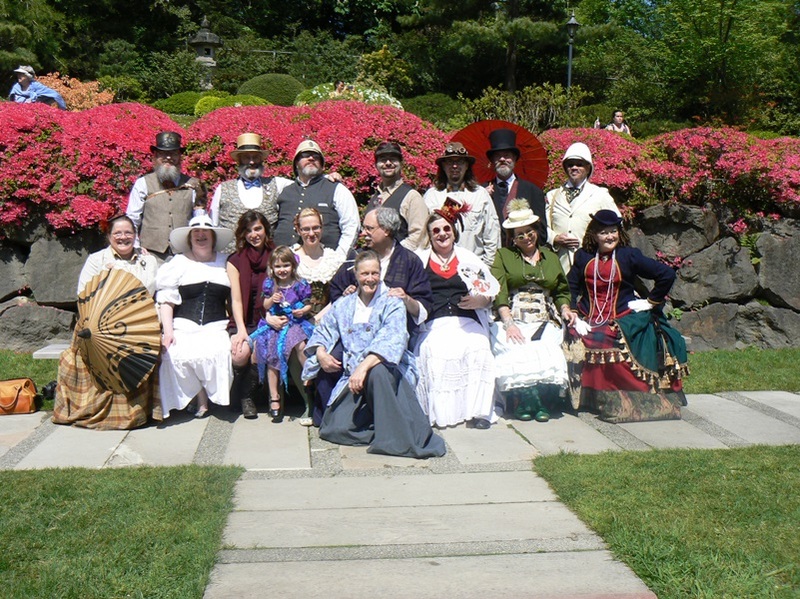 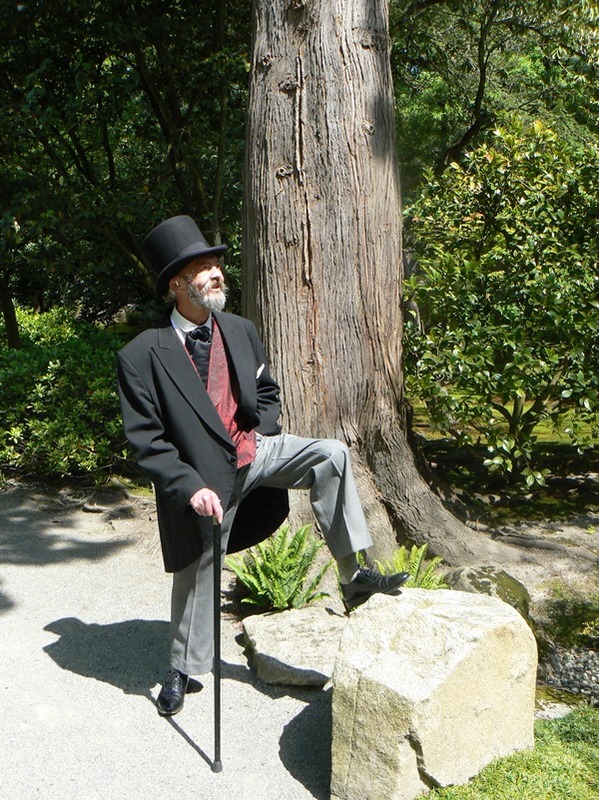 It was decided that everyone would meet for a group photo shoot at the Japanese Gardens in the arboretum. 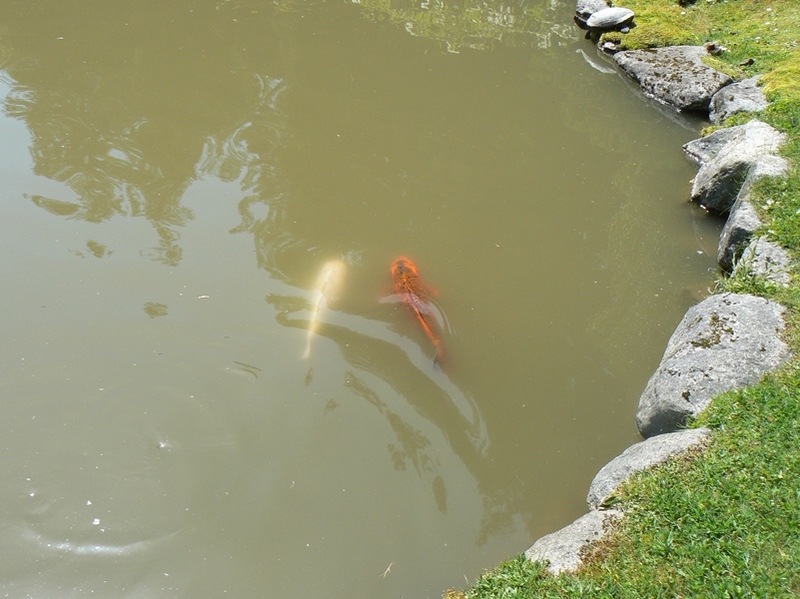 The Steamrats were milling about the water’s edge at the far end of the koi pond. 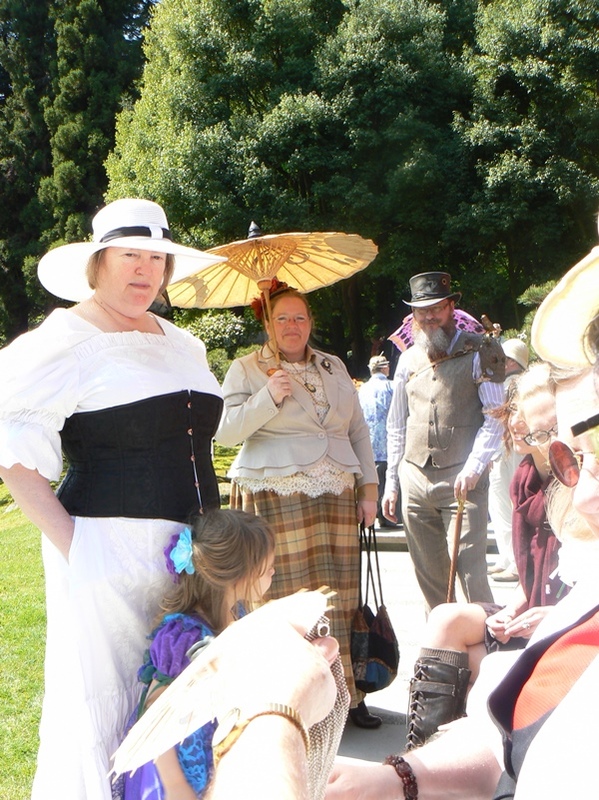 Lady Victoria and Sir Harry of Essex had made a point to come out on this day to join “The Rats” for a brief time in the gardens. 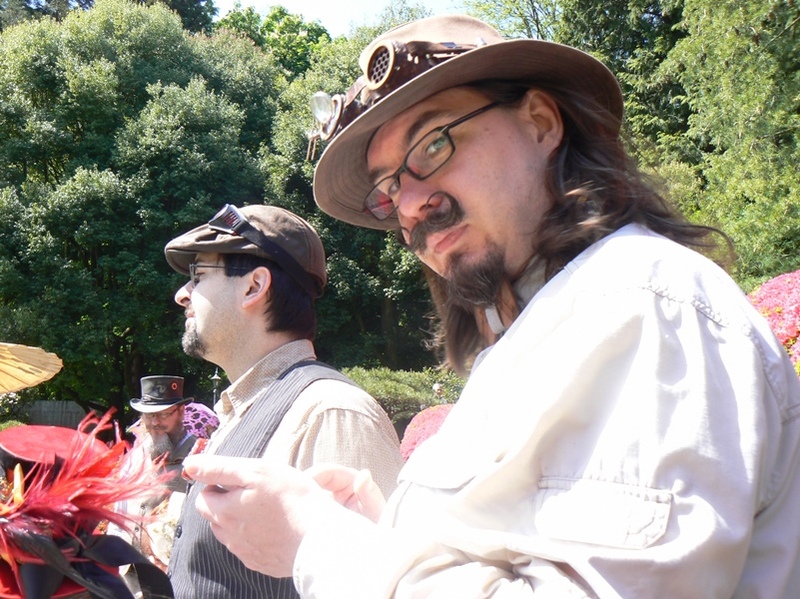 They, themselves were on the way back from another costuming event, so the timing was perfect. 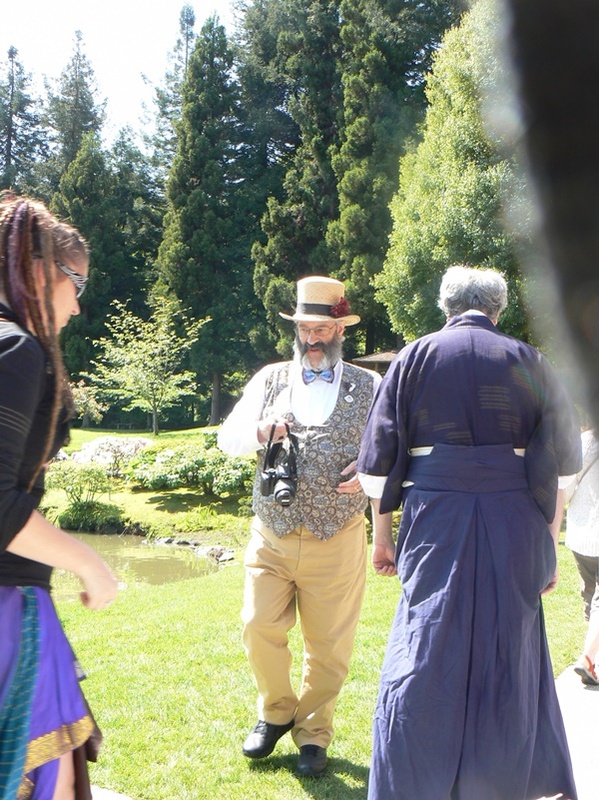 “Who’s thaaaaat?” rung through the air as the couple approached The Rats. 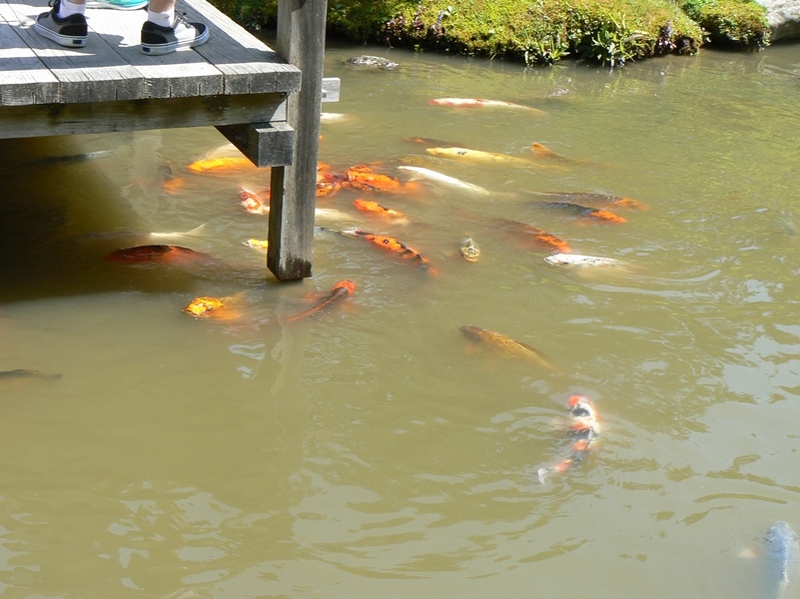 They quickly introduced themselves and made acquaintances with a number of people in the group. 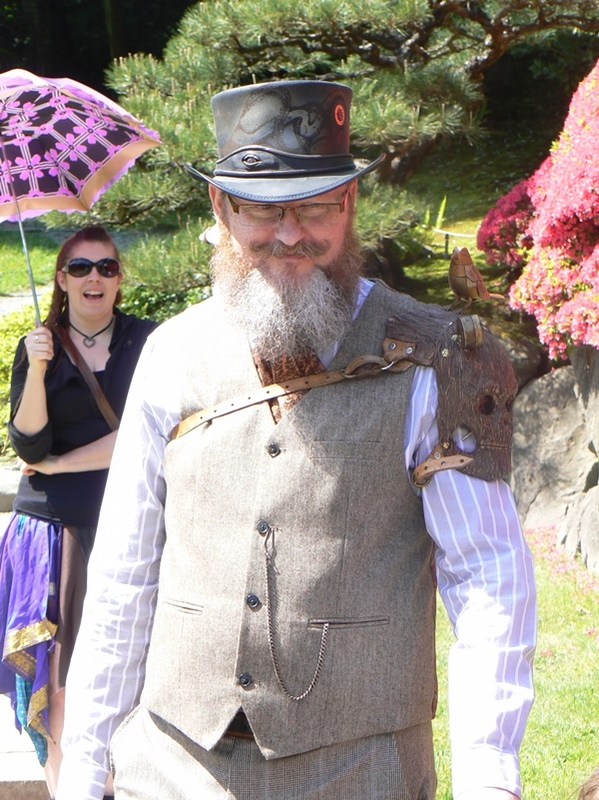 Several people hadn’t met each other and only knew of a name or a photo on Facebook. 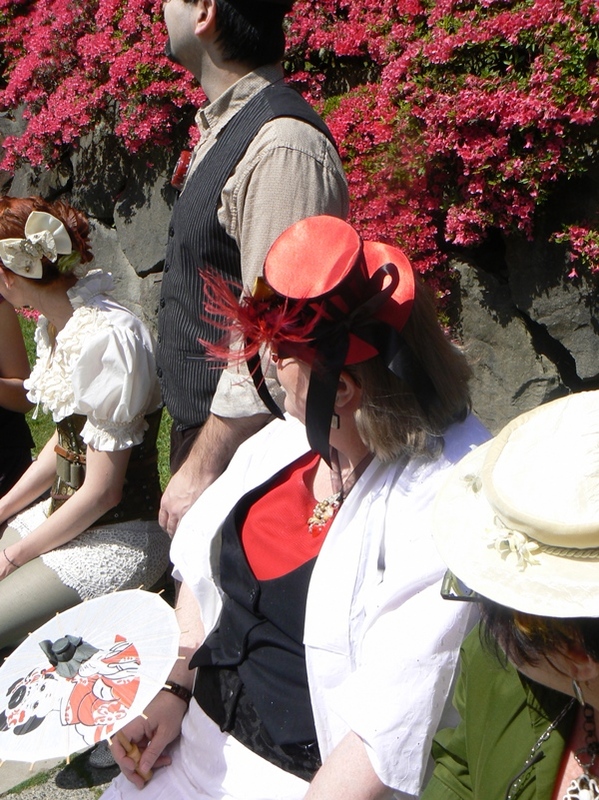 Here was a great opportunity to meet in person and enjoy each other’s company! 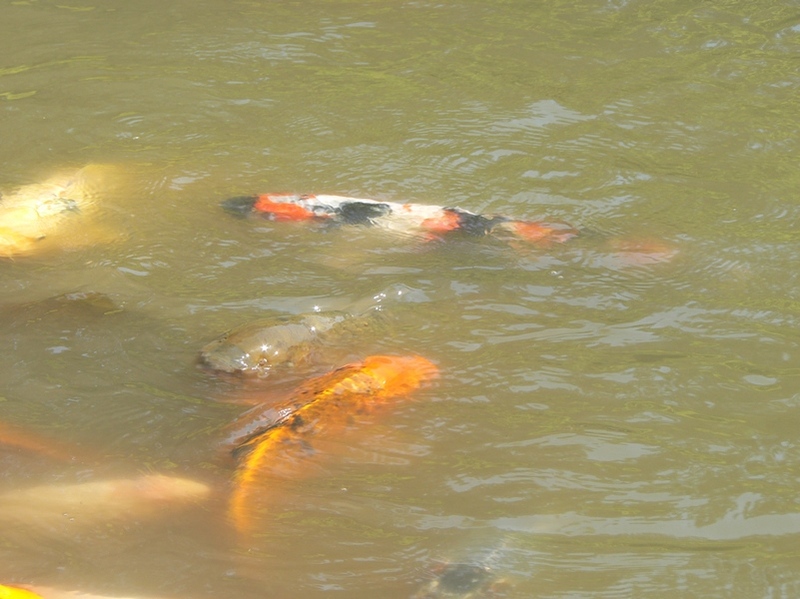 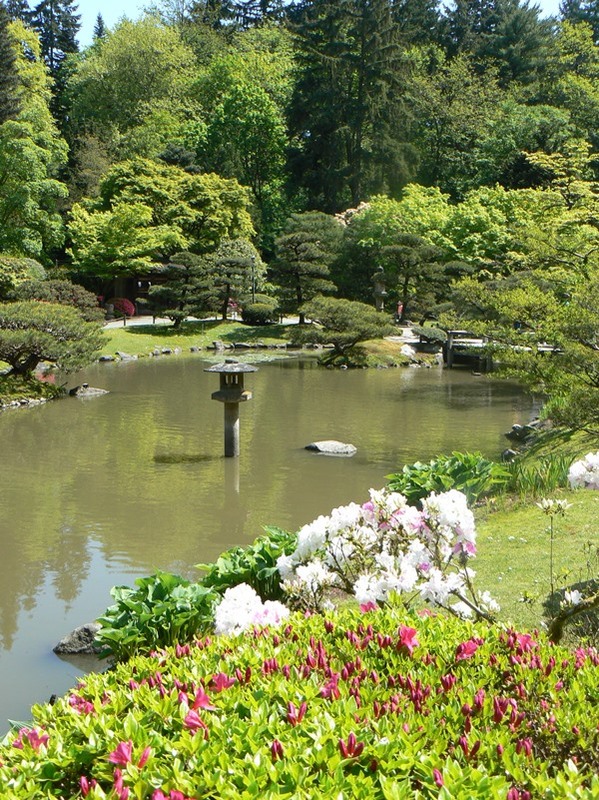 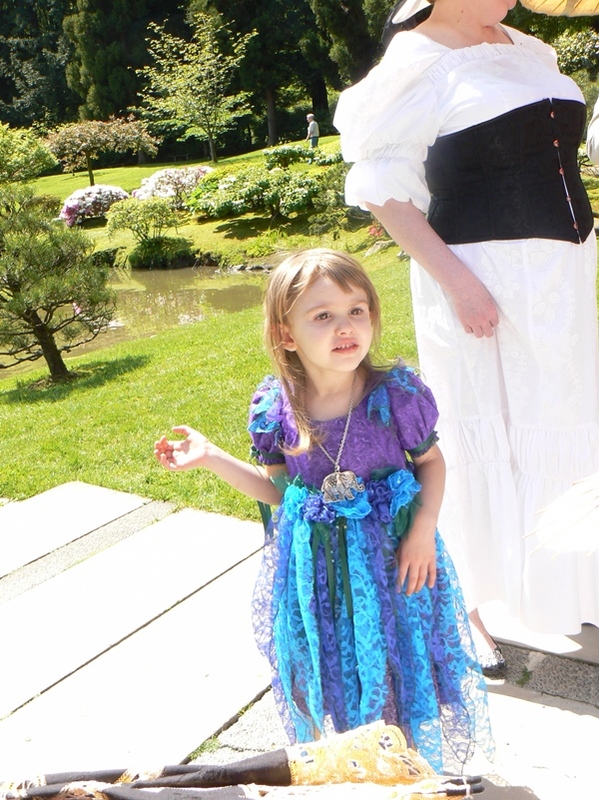 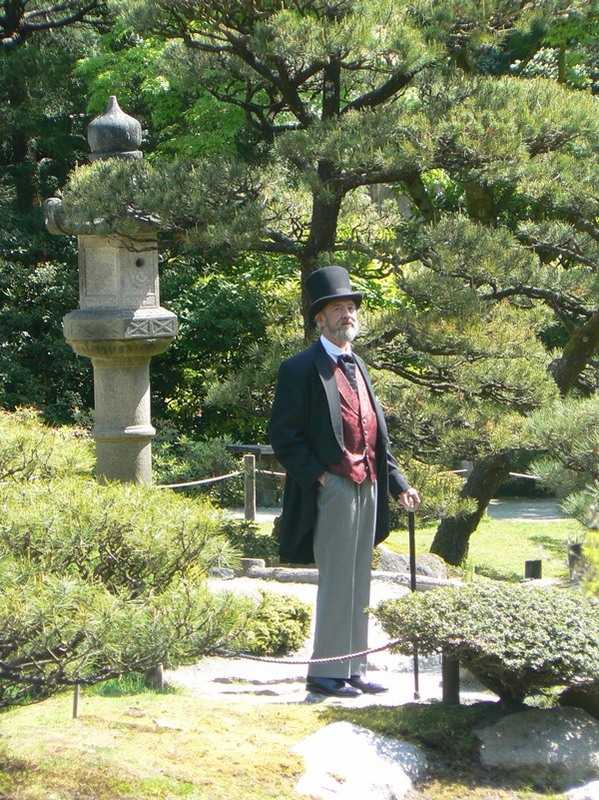 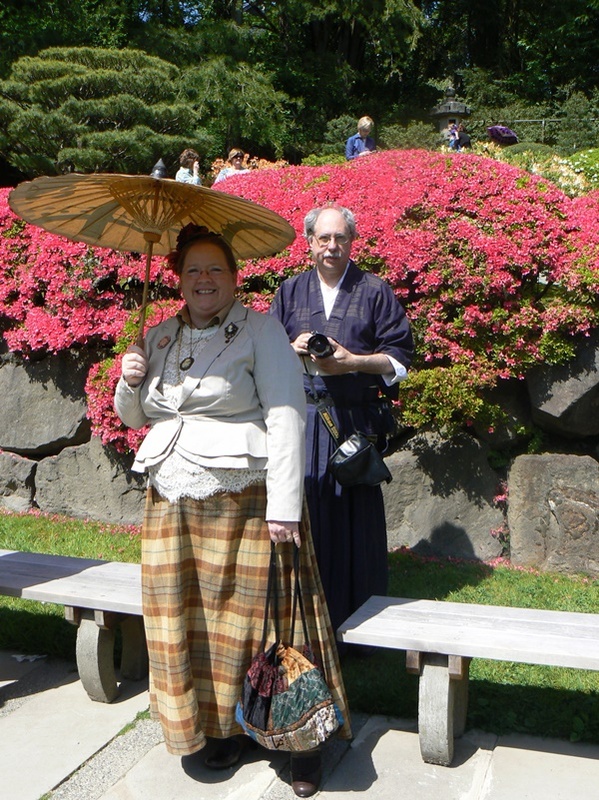 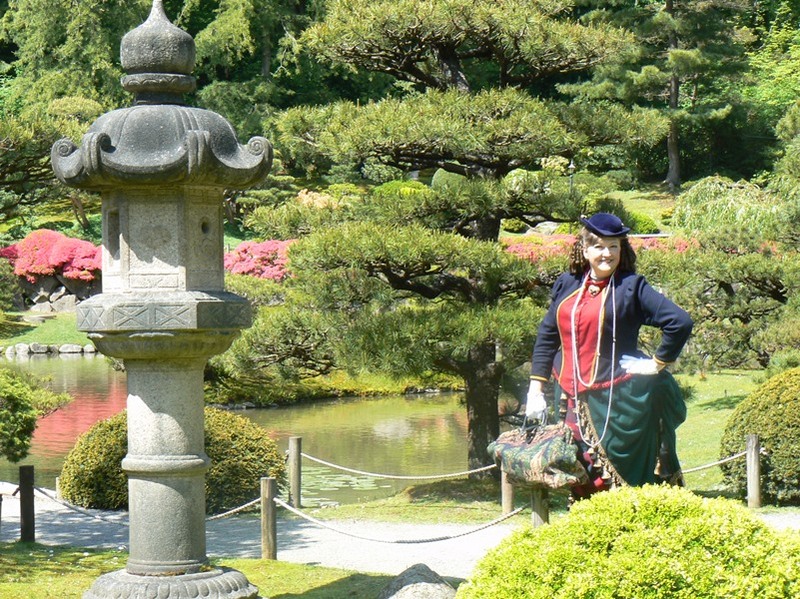 Below, you will find images of our fun day in the Japanese Gardens. 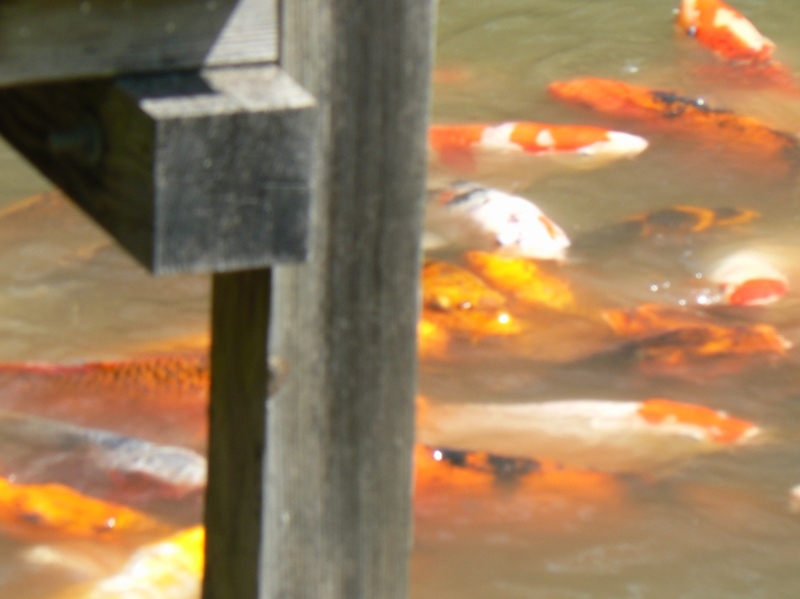 There are many little pockets of interest to appreciate, so DO take your time as you wander about. 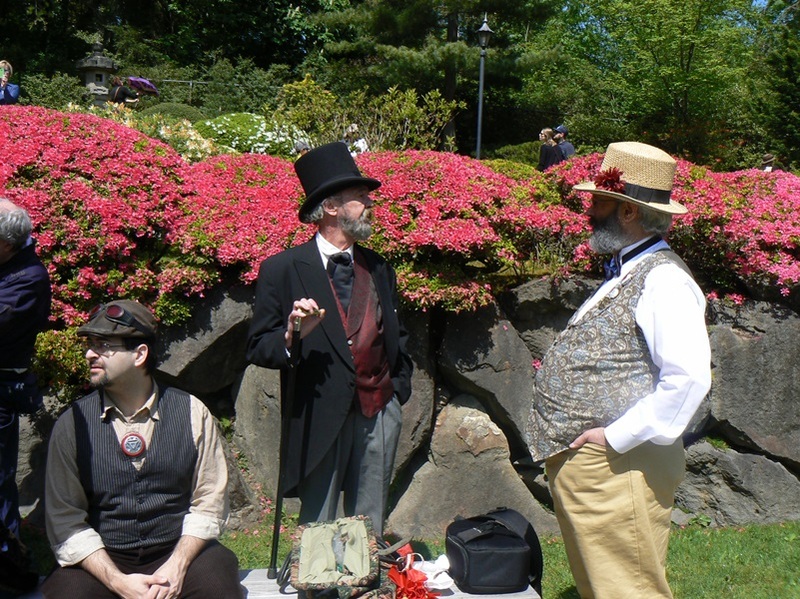 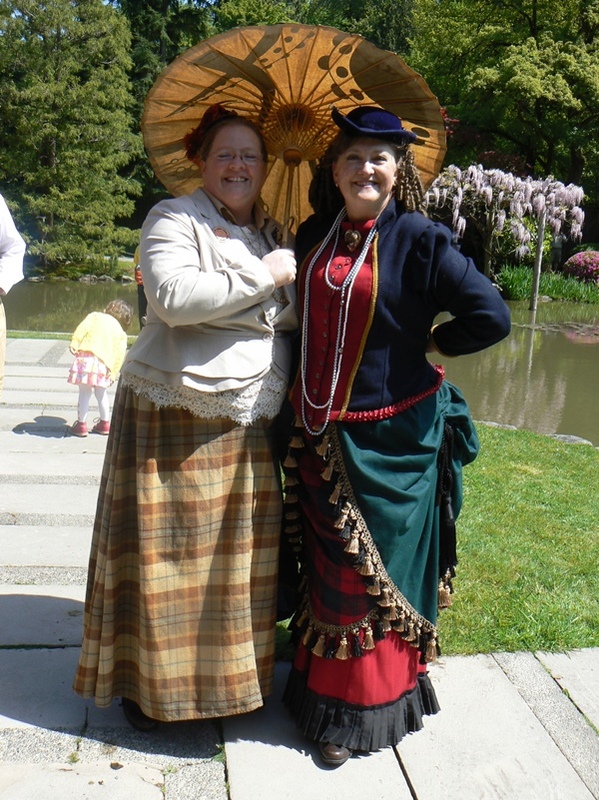 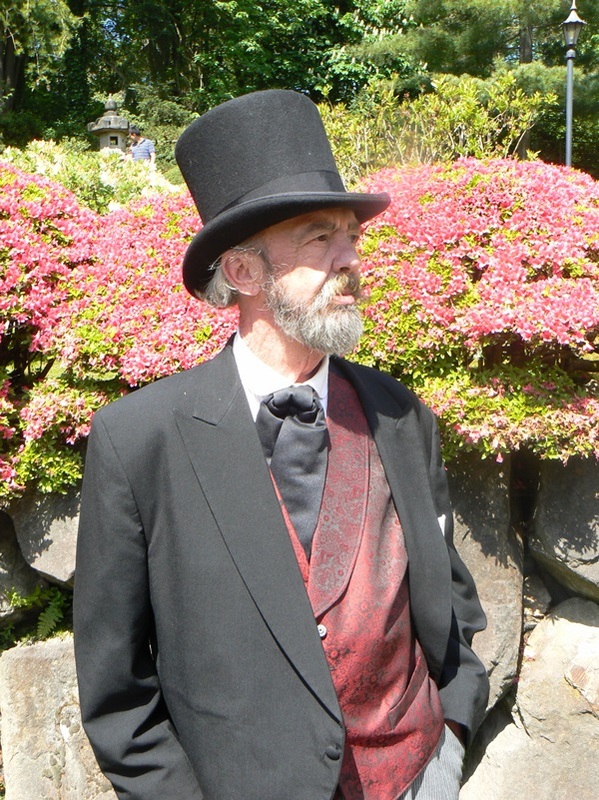 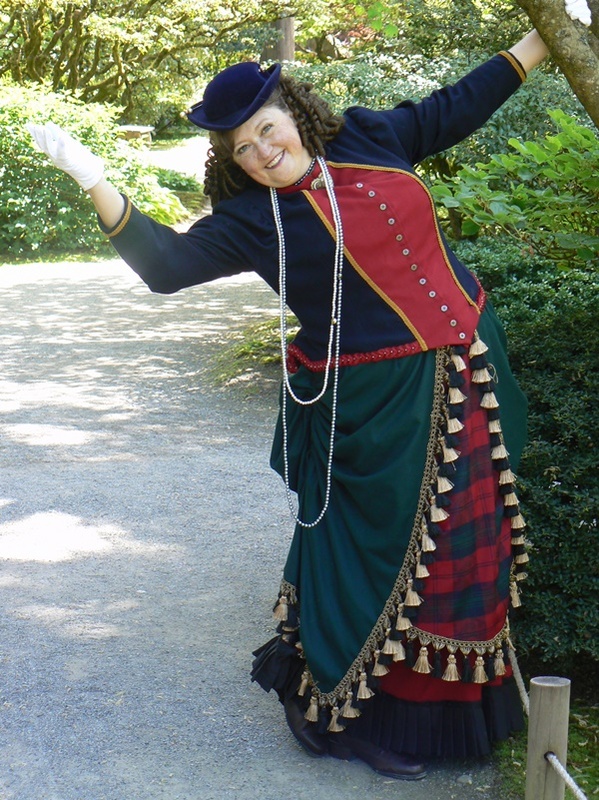 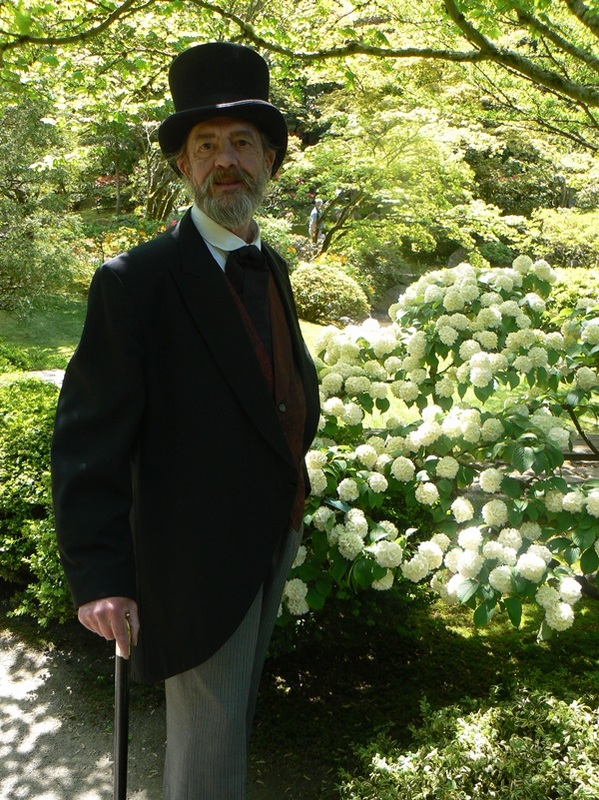 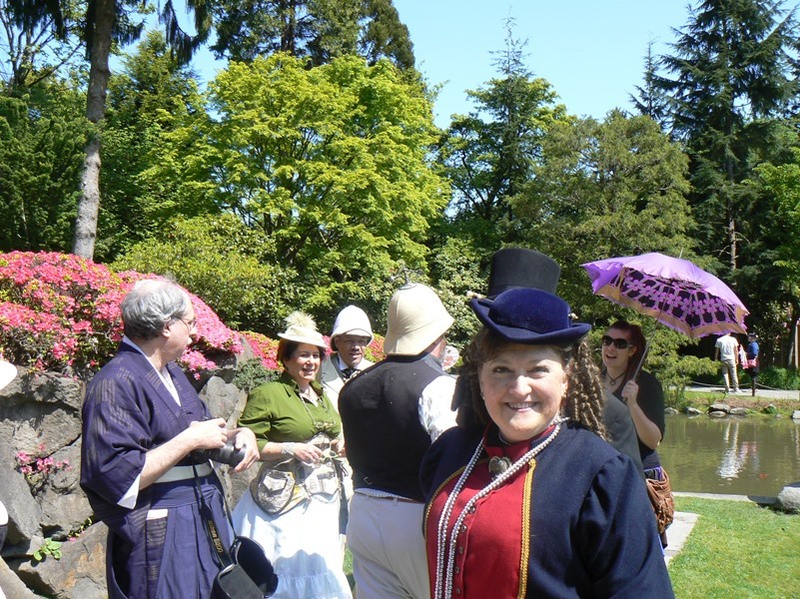 We hope you will look up Seattle Steamrats if you enjoy Steampunk, or Somewhere in Time, Unlimited if you enjoy various era of historical costuming! 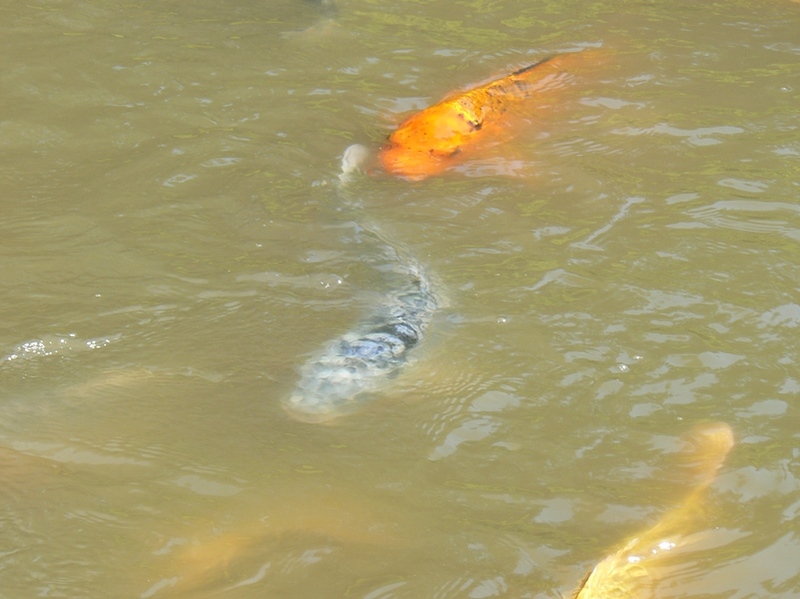 Someone was feeding the Koi. 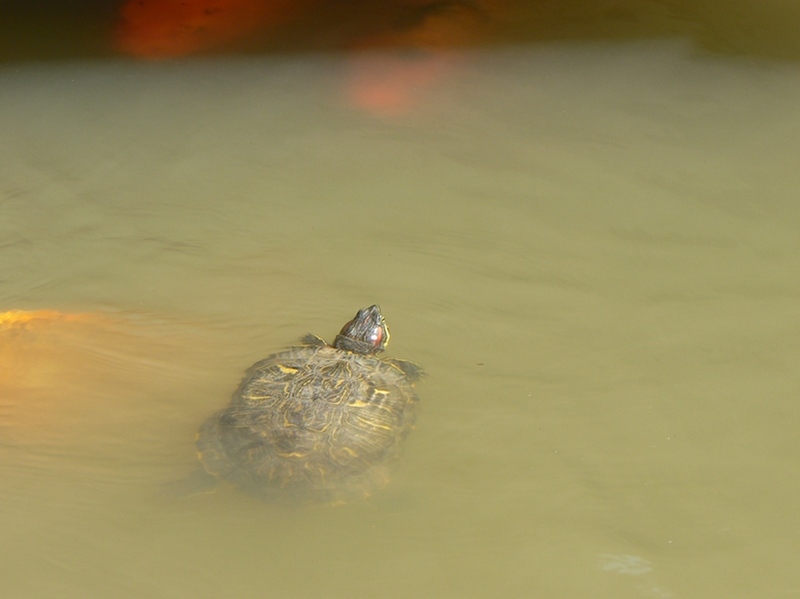 Even a turtle is in the act. 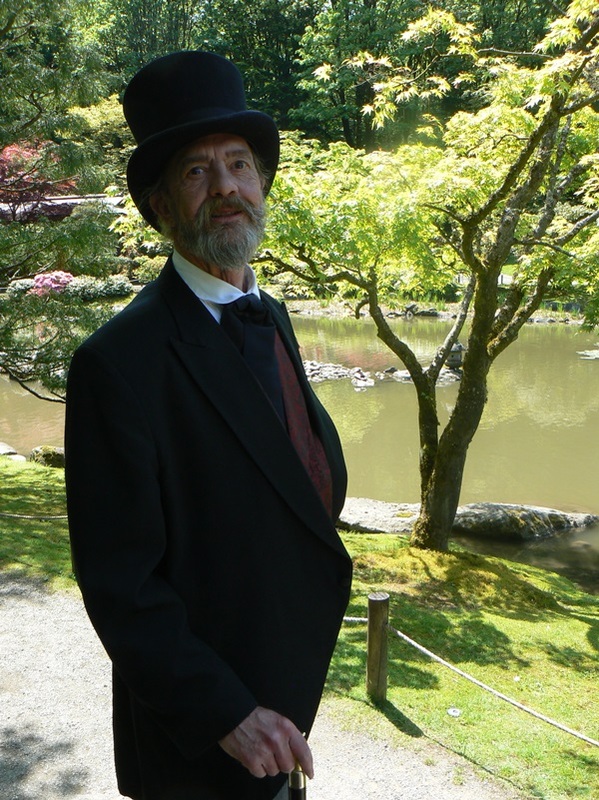 Sir Harry of Essex surveys the koi pond. 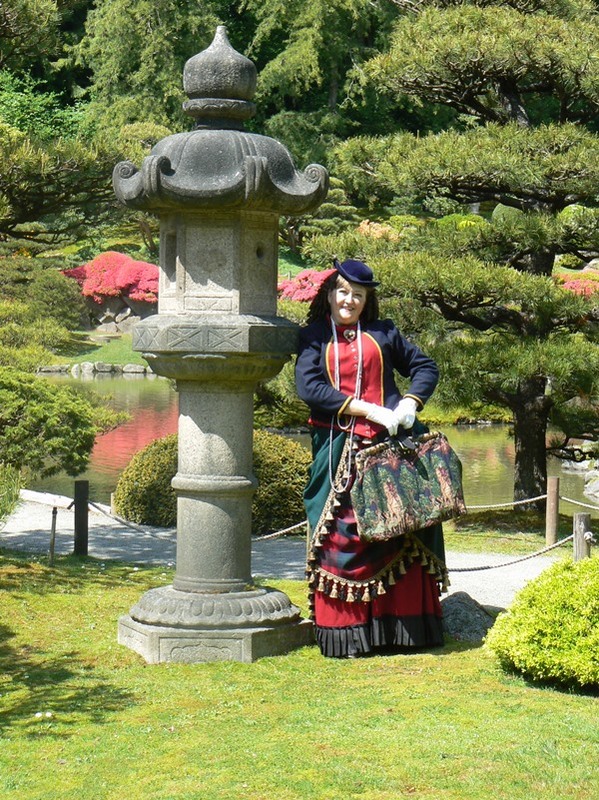 Asian sculpture in the park. 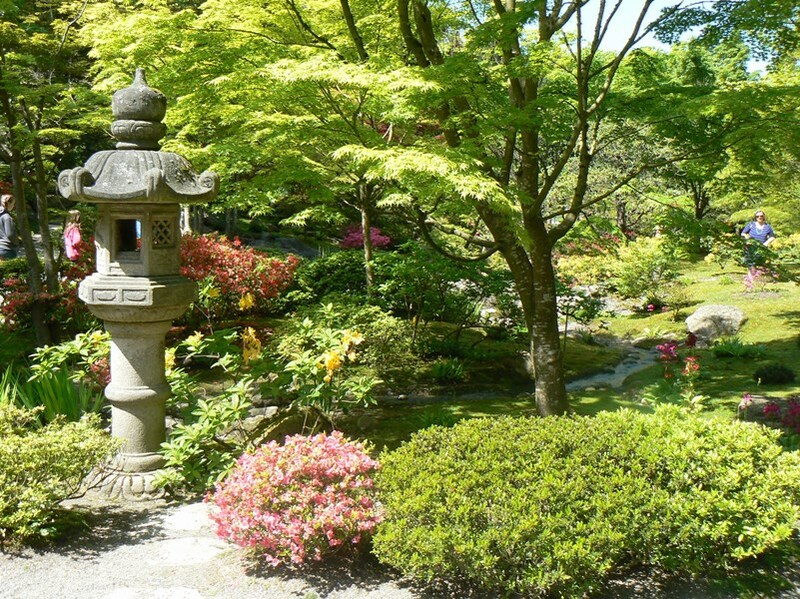 "Sayōnara" from the Japanese Gardens!